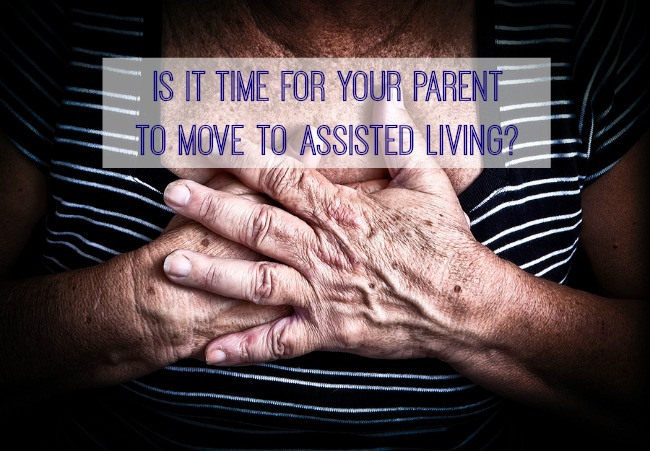 Is it time for your parent to move to an assisted living facility? Americans are living longer than ever before, with the average life expectancy now being 78.8 years. This increased lifespan has its advantages, allowing families to have multiple generations of family members. But as parents and relatives age, there are also some stresses if they can no longer manage on their own. It may not be obvious at first that a parent or older relative needs help with everyday activities, or it may come up very suddenly, after an accident, for example. Anne, who lives in Cincinnati, Ohio, lived through both these situations with her parents. Her father entered a memory care unit when he was 85 years old, and her mother went to live in an assisted living facility three months ago, at the age of 93. Her father has since died but she recalls the moment it became clear he needed more care. “My parents had been very healthy very late in life. Rather suddenly, we noticed that my dad had gotten ‘lost’ when out driving and doing errands,” Anne explains. “He was getting up and dressed for church in the middle of the night.” But it was a bout of dehydration that triggered a hospital stay, which was followed by some time in a rehabilitation facility, Anne says. “At that point, he needed to be admitted to [an assisted living facility] for memory care, for his own safety.” Anne’s mother’s situation started rather suddenly when she fell and broke her ankle. While she recovered physically and was able to return home, Anne and her siblings became concerned over their mother’s increasing anxiety. “The anxiety became unbearable and she got to where she did not want to be alone,” Anne says. Scatchell adds that visiting a facility multiple times at different times of the day is also helpful in assessing its suitability. Are the caregivers thoroughly screened? Does the organization provide training for its employees and closely manage the care provided? Is there open communication with the family at all times? What qualifications does the management team possess?